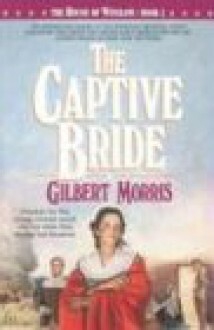 Her pilgrim family had nurtured her in an atmosphere of religious and political freedom now enemies of that freedom threatened her very life!The Captive Bride takes the Winslow family beyond the Pilgrim settlement at Plymouth to assist in building the great new nation. For a time the Winslow dream seemed to have gone down with a sinking ship, but Rachel revives the spark of hope. As free-thinking and spirited as her mother and her grandfather Gilbert, Rachel faces capture by those she wishes to help, pressures to conform and, ultimately, a test of forgiveness beyond human accomplishment.Is marriage the only possibility for her? Is her faith her own? Can she face unjust imprisonment even death without retreat?The religious freedom and fervor which had marked the young colony might be its undoing.